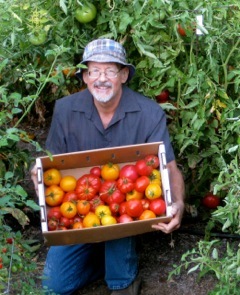 I was pretty darn excited to get an email the other day, from none other than Fred Hoffman, the Master Gardner and host of "Get Growing" on both KSTE and KFBK radio out of Sacramento. I listen to his local garden and farm show almost every weekend, and many times I have thought about reaching out to Farmer Fred to see if we could do a segment on chickens and backyard chicken keeping. His reaching out to me couldn't have been more perfect timing! If you didn't get a chance to listen to my clip with Fred on Sunday, here are the links to hear the podcasts. We talked about how there are different chickens for different purposes, the PHI program, chickens in the garden, common pests on chickens, and some of my services. Fred is a talented producer! I had a fun time chatting with him. Fred asked me about the costs associated with keeping a few backyard chickens, and I realized that I never really answered his question during our interview! I will be putting something together in the next few weeks to help people gauge the costs involved. It was a good question!